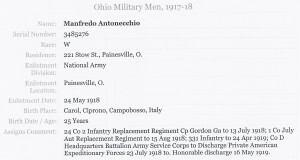 Manfredo Antonecchia first appears in the Painesville, Ohio, area in 1912. He probably did not return to Painesville after serving in World War One. Manfredo Antonecchia, son of Nunzio Antonecchia, was born on June 11, 1893, at Casalciprano, Italy. Manfredo died on November 8, 1966, at Casalciprano, Italy, at age 73 cardiac infarction. His body was interred at Municipal Cemetery, Casalciprano, Italy. 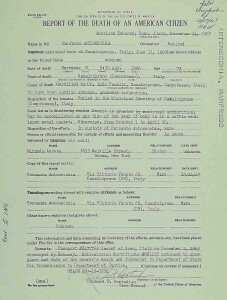 Manfredo Antonecchia, age 19, immigrated to the United States on November 5, 1912, travelling to Painesville, Lake County, Ohio, joining his cousin, Sabato Iammatteo. 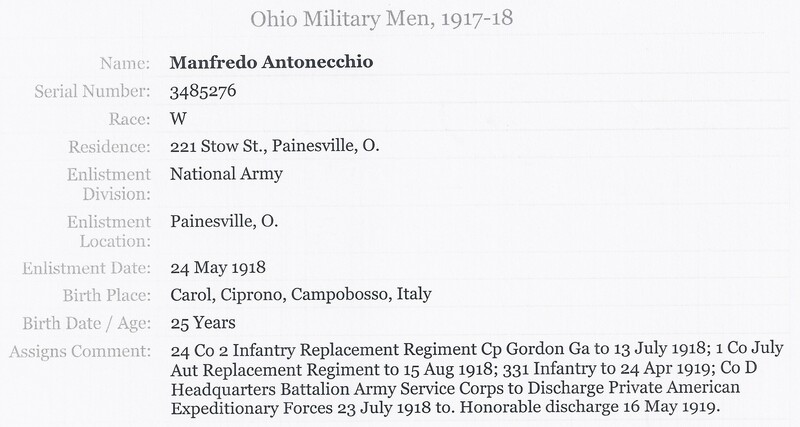 Manfredo registered for the military draft for World War One on June 5, 1917, living at 221 Storrs Street, Painesville, Lake County, Ohio. He was employed by the Dimond Akali Company as a laborer. He served in the United States Army during World War I, May 24, 1918, to May 16, 1919. 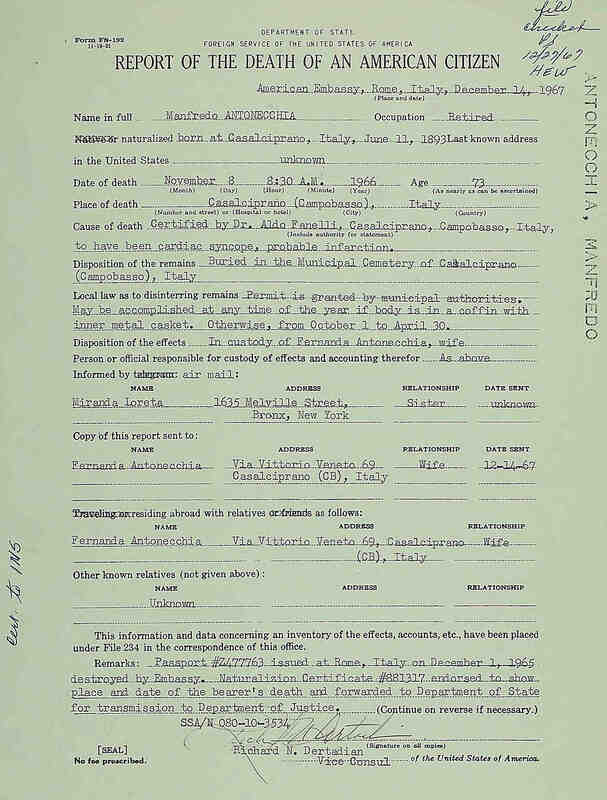 Manfredo Antonecchia was probably related to other Painesville Italians, Gennaro Antonecchia and Pasquale Antonecchia.